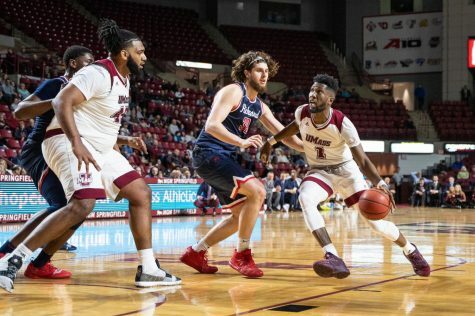 The Massachusetts men’s basketball team had its worst offensive night of the season, dropping its first game on its home floor at the Mullins Center, 68-56, against Maine on Wednesday night. Heading into halftime locked in a 32-32 tie, both teams were mostly even in statistical categories across the board. 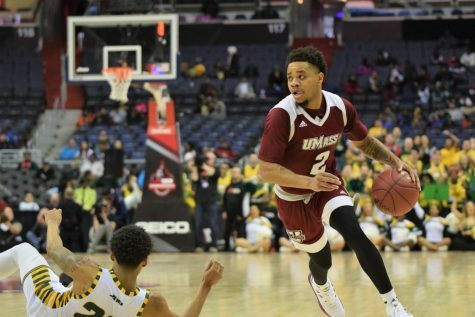 UMass (7-2) shot 38.5 percent from the field, while Maine converted 39.3 percent of their shots. 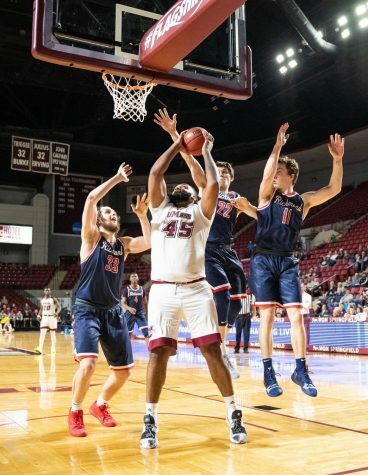 In the second half, however, the Minutemen went cold, shooting 22.9 percent from the field and 2-of-14 from beyond the arc en route to scoring 24 points for the period. Overall, the Black Bears (3-5) dominated the second half, outrebounding UMass 24-18 and holding a 23-11 advantage in bench points. For the game, the Minutemen finished with a minus-7 ratio in boards, while being outscored 43-26 in bench points. 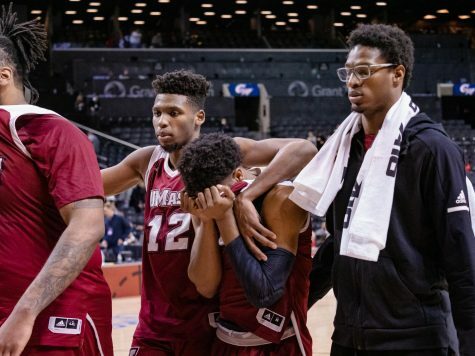 “It’s unacceptable getting rebounded by seven in a home game when you’re supposed to be an Atlantic 10 team,” UMass coach Derek Kellogg said. 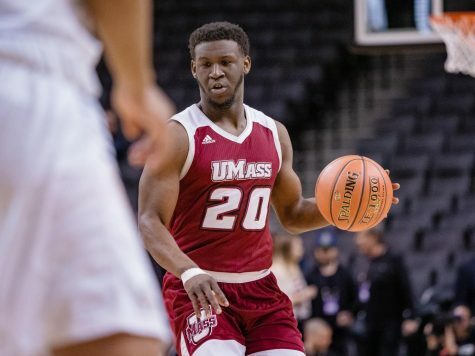 UMass’ leading scorer, guard Anthony Gurley, had his toughest night of the year, registering 12 points, well below his average of 21.4 per game. The senior went 4-of-12 from the field and committed five turnovers. 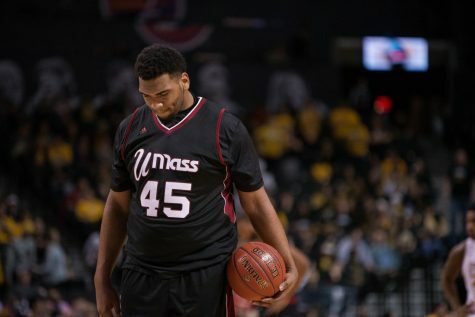 Gurley was the only Minutemen player in double figures with forward Sampson Carter finishing with the second highest total at eight points, all from the free-throw line. 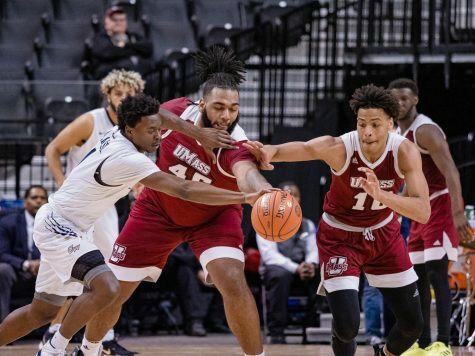 The UMass offense seemed to struggle the most when facing a zone defense, which Kellogg said was packed in to force his team to shoot from the perimeter. 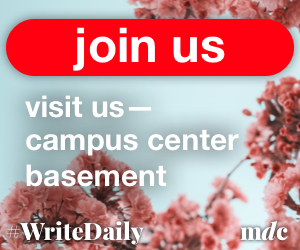 “The wings were kind of shaded towards me and Freddie [Riley] at pretty much all times we were on the floor,” Gurley said of the Maine defense. 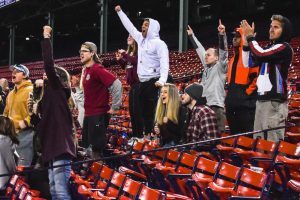 In the early stages of the game, the Minutemen looked as if they were in control. After subbing in for senior point guard Gary Correia, who had two early fouls in the first half, freshman Daryl Traynham picked the pocket of Raheem Singleton in the backcourt and finished with a layup. 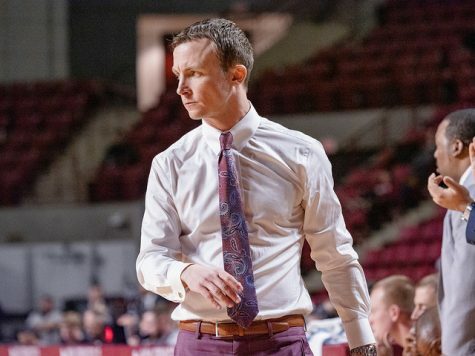 Traynham hounded Singleton whenever he was on the floor, causing the Maine point guard to pick up four fouls within the first 27 minutes of the contest. Singleton fouled out after playing only seven minutes and recorded no points and four turnovers. The Black Bears didn’t miss a beat, however, with Andrew Rogers filling in for Singleton. The junior scored seven points while pulling down six rebounds in 25 minutes off the bench and propelling Maine’s offense in the second half. Maine earned its first lead of the opening period at the 2:03 mark when forward Malachi Peay nailed both free throws to put the Black Bears on top, 31-30. 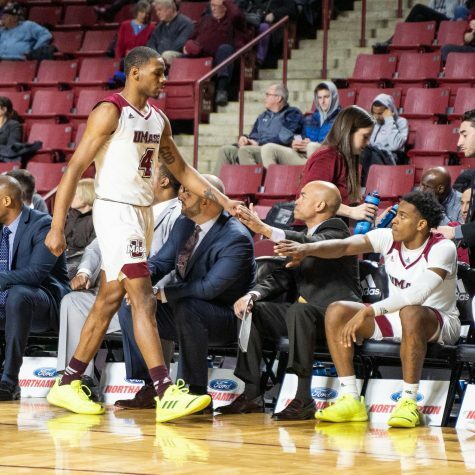 UMass scored their first basket of the second half on a Gurley breakaway layup after he jumped the passing lane to earn a steal at the 16:00 mark. 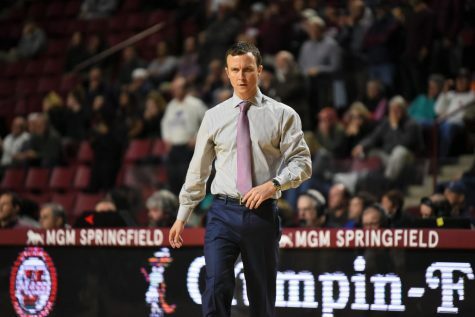 Following two consecutive losses, the Minutemen will look to break their struggles when they face off against Big East opponent Seton Hall at home on Saturday night.